1. Reference is invited to the Board’s Circular No. 579 dated 14-9-1990 regarding deduction of income-tax at source from the payment of interest on securities for the financial year 1990-91. 2. For the financial year 1991-92, there is no change in the basic rates of tax and surcharge insofar as they relate to deduction of tax at source from payment of interest on securities. The applicable rates have been given in the paragraph 3 of the draft Circular enclosed. (d) no tax will be deducted at source or it will be deducted at a lower rate in the case of a person other than a company where a certificate under section 197 is issued by the Assessing Officer specifying the rate of such deduction of tax at source. (a) According to the provisions of section 200, any person deducting any sum in accordance with the provisions of section 193 is required to pay, within the prescribed time (as laid down in rule 30 of the Income-tax Rules, 1962), the sum so deducted to the credit of the Central Government. In the case of deduction by or on behalf of the Government, the sum has to be paid on the day of the deduction itself. In other cases, normally, the sum has to be paid within one week from the last day of the month in which the deduction is made. If a person fails to deduct tax at source, or, after deducting, fails to pay tax to the credit of the Central Government, he shall be liable to action under the provisions of section 201. Sub-section (1A) of section 201 lays down that such person shall also be liable to pay simple interest at fifteen per cent per annum on the amount of such tax from the date on which such tax was deductible to the date on which such tax is actually paid. Further, section 271C lays down that if any person fails to deduct tax at source, he shall be liable to pay by way of penalty a sum equal to the amount of tax which he failed to deduct at source. In this regard, attention is also invited to the provisions of section 276B which lays down that if a person fails to pay to the credit of the Central Government the tax deducted at source by him, he shall be punishable with rigorous imprisonment for a term which shall not be less than 3 months but which may extend to 7 years and with fine. (b) According to the provisions of section 203 every person deducting tax at source is required to furnish a certificate to the effect that tax has been deducted and to specify therein the amount so deducted and certain other particulars. The certificate has to be furnished in Form No. 16A (copy given as Annexure III to the enclosed draft Circular), within the prescribed period of one month and fourteen days to the person to whose account credit is given or to whom payment is made by any mode, as the case may be. Form No. 16A can be issued by the tax deductors on their own stationery. Detailed instructions regarding the use of these forms have been issued in Board’s Circular No. 597 dated 27-3-1991. If a person fails to furnish a certificate as required under section 203, he shall be liable to pay by way of penalty under section 272A, a sum which shall not be less than Rs. 100 but which may extend to Rs. 200 for every day during which the failure continues. (c) According to the provisions of section 203A, it is obligatory for all persons responsible for deducting tax at source to obtain and quote the tax deduction account number (TAN) in the challans, TDS certificates, returns, etc. Detailed instructions in this regard are available in the Board’s Circular No. 497, dated 9-10-1987. If a person fails to comply with provisions of section 203A, he shall be liable to pay by way of penalty under section 272BB a sum up to Rs. 5,000. (d) According to the provisions of section 206, read with rules 36A and 37 of the Income-tax Rules, the prescribed person in the case of every office of Government, the principal officer in the case of every company, the prescribed person in the case of every local authority or other public body or association, every private employer and every other person responsible for deducting tax at source shall prepare and deliver by the 30th June following the financial year, to the designated/concerned Assessing Officer, the annual return of deduction of tax from interest on securities in Form No. 25. It may be noted that a copy of each TDS certificate issued during the financial year should be enclosed with the annual return. If a person fails to furnish in due time the annual return, he shall be liable to pay by way of penalty under section 272A, a sum which shall not be less than Rs. 100 but which may extend to Rs. 200 for every day during which the failure continues. The maximum penalty will, therefore, not exceed the amount of tax deductible. Circular: No. 615, dated 22-11-1991. DRAFT CIRCULAR TO ALL TREASURY OFFICERS, ETC. 1. I am to invite your attention to this office letter regarding deduction of income-tax from interest on Government securities during the financial year 1990-91. 2. According to the provisions of section 193 of the Income-tax Act, 1961, the person responsible for paying any income by way of interest on securities shall, at the time of credit of such income to the account of the payee or at the time of payment thereof in cash or by issue of a cheque or draft or by any other mode, whichever is earlier, deduct income-tax at the rates in force on the amount of interest payable. For this purpose credit to any suspense account or any other account by whatever name called, shall be deemed to be a credit of such income to the account of the payee. Income-tax in respect of the income at the rates prescribed in Sub-paragraph I of Paragraph A of Part III of the First Schedule to the Finance Act, 1992 (videAnnexure I), if such income had been the total income, whichever is higher. (ii) by a surcharge @ 15% of such income-tax in the case of a domestic company. 4. The term “domestic company” means an Indian company or any other company which, in respect of its income liable to tax under the Income-tax Act, 1961, has made the prescribed arrangements for the declaration and payment within India, of the dividends [including dividends on preference shares] payable out of such income. (vii) under section 288B of the Income-tax Act, fractions of one rupee contained in the amount of tax will have to be rounded off to the nearest rupee by ignoring amounts less than fifty paise and increasing amounts of fifty paise or more to one rupee. Hence, the amount of tax to be deducted at source should be rounded off to be nearest rupee in accordance with the aforesaid provisions of the Act. (a) According to the provisions of section 200, any person deducting any sum in accordance with the provisions of section 193 is required to pay, within the prescribed time (as laid down in rule 30 of the Income-tax Rules, 1962), the sum so deducted to the credit of the Central Government. In the case of deduction by or on behalf of the Government, the sum has to be paid on the day of the deduction itself. In other cases, normally, the sum has to be paid within one week from the last day of the month in which the deduction is made. If a person fails to deduct tax at source, or, after deducting, fails to pay tax to the credit of the Central Government, he shall be liable to action under the provisions of section 201. Sub-section (1A) of section 201 lays down that such person shall be liable to pay simple interest at fifteen per cent per annum on the amount of such tax from the date on which such tax was deductible to the date on which such tax is actually paid. Further, section 271C lays down that if any person fails to deduct tax at source he shall be liable to pay by way of penalty a sum equal to the amount of tax which he failed to deduct at source. 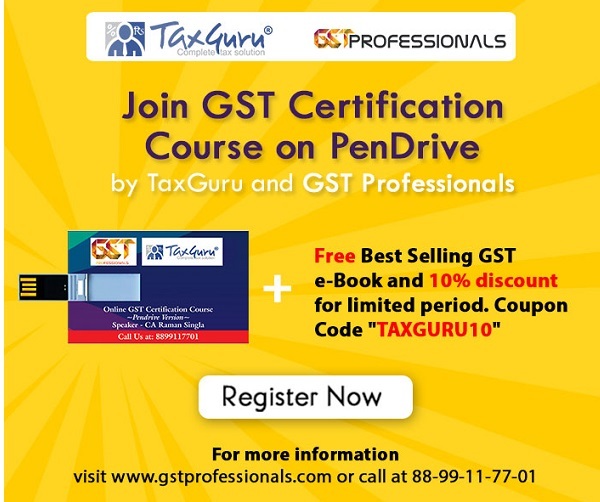 In this regard, attention is also invited to the provisions of section 276B which lays down that if a person fails to pay to the credit of the Central Government the tax deducted at source by him, he shall be punishable with rigorous imprisonment for a term which shall not be less than 3 months but which may extend to 7 years and with fine. (b) According to the provisions of section 203, every person deducting tax at source is required to furnish a certificate to the effect that tax has been deducted and to specify therein the amount so deducted and certain other particulars. The certificate has to be furnished in Form No. 16A (copy enclosed at Annexure III), within the prescribed period of one month and fourteen days to the person to whose account credit is given or to whom payment is made by any mode, as the case may be. Form No. 16A can be issued by the tax deductors on their own stationery. Detailed instructions regarding the use of these forms have been issued in Board’s Circular No. 597 [F.No. 275/42/91-IT(B)] dated 27th March, 1991. If a person fails to furnish a certificate as required under section 203, he shall be liable to pay by way of penalty under section 272A, a sum which shall not be less than Rs. 100 but which may extend to Rs. 200 for every day during which the failure continues. (c) According to the provisions of section 203A, it is obligatory for all persons responsible for deducting tax at source to obtain and quote the tax deduction account number (TAN) in the challans, TDS certificates, returns, etc. Detailed instructions in this regard are available in the Board’s Circular No. 497 [F. No. 275/118/87-IT(B)], dated 9-10-1987. If a person fails to comply with provisions of section 203A, he shall be liable to pay by way of penalty under section 272BB a sum up to Rs. 5000. (d) According to the provisions of section 206, read with rules 36A and 37 of the Income-tax Rules, the prescribed person in the case of every office of Government, the principal officer in the case of every company, the prescribed person in the case of every local authority or other public body or association, every private employee and every other person responsible for deducting tax at source shall prepare and deliver by the 30th June following the financial year, to the designated/concerned Assessing Officer, the annual return of deduction of tax from interest on securities in Form No. 25. It may be noted that a copy of each TDS certificate issued during the financial year should be enclosed with the annual return. If a person fails to furnish in due time the annual return, he shall be liable to pay by way of penalty under section 272A, a sum which shall not be less than Rs. 100 but which may extend to Rs. 200 for every day during which the failure continues. The maximum penalty will, however, not exceed the amount of tax deductible. 7. In case of any doubt, the Assessing Officer or the local Public Relations Officer of the Income-tax Department should be consulted. which the total income exceeds Rs. 1,00,000. Provided that no such surcharge shall be payable by a non-resident. 5. that I am resident in India within the meaning of section 6 of the Income-tax Act, 1961. I,……………………….., do hereby declare that to the best of my knowledge and belief what is stated above is correct, complete and is truly stated. 1. @ Give complete postal address. 2. The declaration should be furnished in duplicate. 3. *Delete whichever is not applicable. (ii) in any other case, with rigorous imprisonment which shall not be less than three months but which may extend to three years and with fine. [For interest on securities; dividends; interest on time deposits referred to in clauses (vii) and (viia) of sub-section (3) of section 194A; insurance commission; payments in respect of deposits under National Savings Scheme; payments on account of repurchase of units by the Mutual Fund or Unit Trust of India; commission, remuneration or prize on sale of lottery tickets; commission or brokerage; income from units referred to in section 196B]. 19 ….. TO 19 …..
Certified that a sum of Rs. (in words)……………………has been deducted at source and paid to the credit of the Central Government as per details given above.